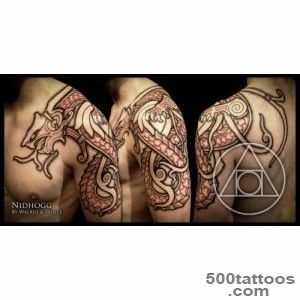 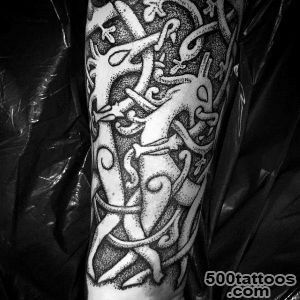 Scandinavian tattoo is an image of various mythological creatures of ancient Scandinavian legends and myths . 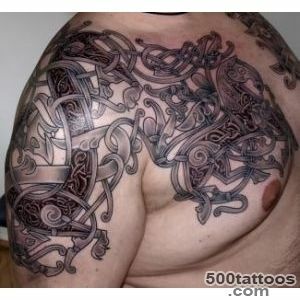 Also very popular signs and symbols , which were the Vikings , as , in principle , and the image of the Vikings themselves . 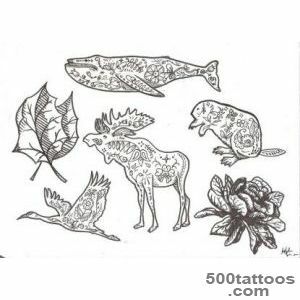 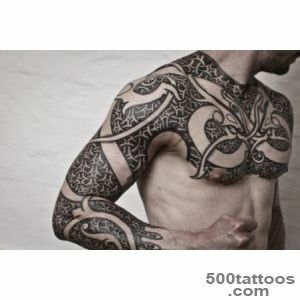 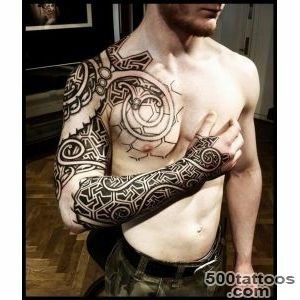 Today, Scandinavian tattoos have become very popular ,but very difficult to find a suitable image to a specific person , which will have a unique basis . 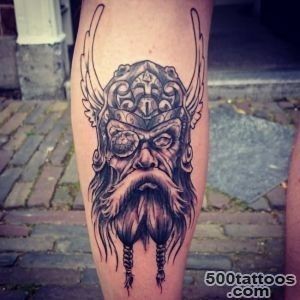 The most common picture among the Scandinavian runic tattoos can be called a compass and a helmet of fear. 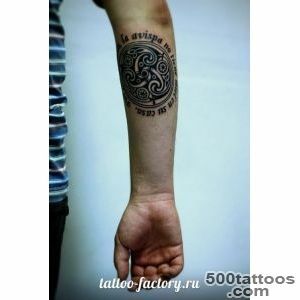 Fear Helm suggests to protect the owner and help him in battle , and the runic compass should guide him to the right path ,carry through life only in the right direction . 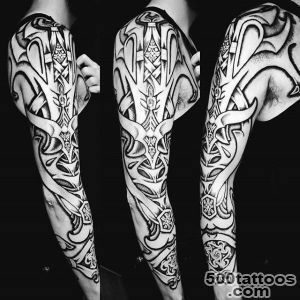 Another Scandinavian symbol is " Valnog " or three triangles connected to each other , which speak of those who live for the sake of the Scandinavian deity Odin , who was a master of trade, war , navigation and storms . 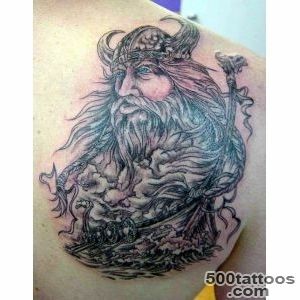 Women get tattoos with the portrait of the wife of the god ,Frigg - she was the mistress of love , marriage and the home. 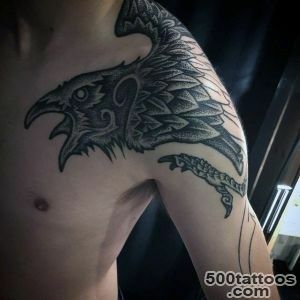 It used to be that all those who have caused to your body tattoo , ready to die for the deity at any time - so the picture is not very popular among the faithful in the Scandinavian rites . 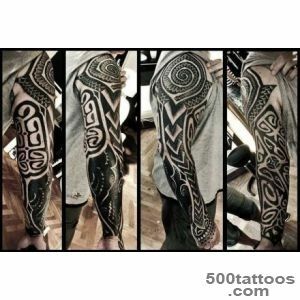 The owners of the Scandinavian tattoos show thereby that honor their history ,the history of the whole of Scandinavia , the Viking culture. 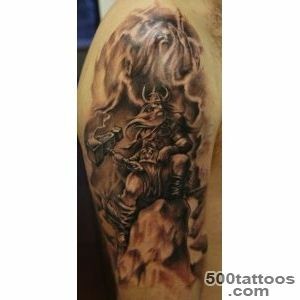 Also because the Vikings media show their manliness and courage , but it is better to be cautious about application of such images . 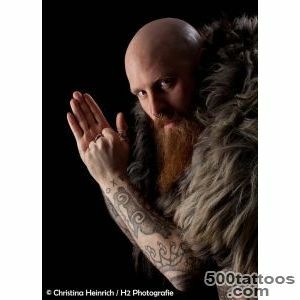 Another very interesting option Scandinavian tattoos can be called runes , which are symbols of the alphabet ancient peoples of Northern Europe .This symbolism began to use since the first century AD , it was not until the Middle Ages . 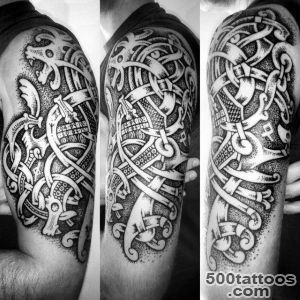 The Vikings believed that runes can be more ambiguous even for images of deities , so the carrier may become ill from them . 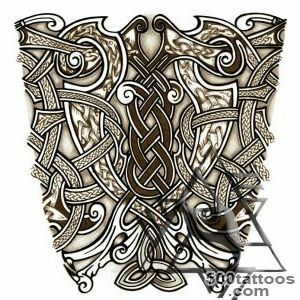 By Scandinavian tattoos are drawings Valkyries - female warriors who died in battle .Sometimes it can be portrayed the wolf Fenrir , who according to legend, would swallow the god Odin , when the world ends . 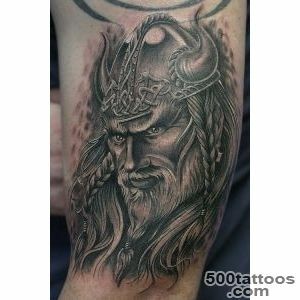 One locked him in the heart of the earth , to stop the prophecy . 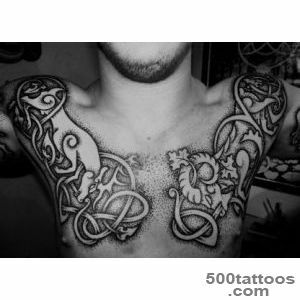 We also know that Fenrir was the son of God . 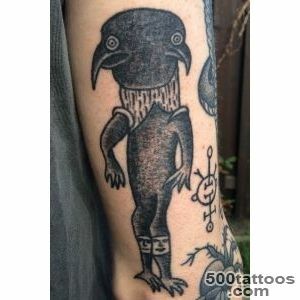 Crows and eight legged horse were symbols of the deity of the mind , wisdom , magic ,which is also often depicted on the body admirers of the Scandinavian culture, history and traditions. 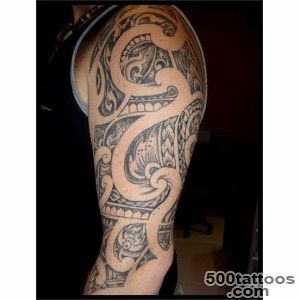 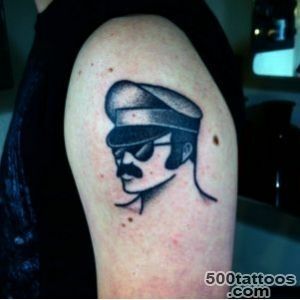 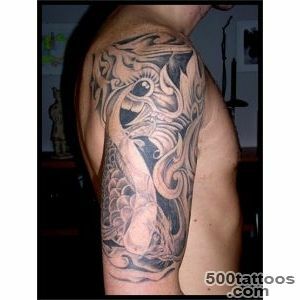 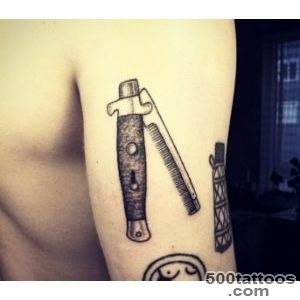 Sometimes, tattoos could be present boat , which was at that time not only the ship , people need to commit robberies . 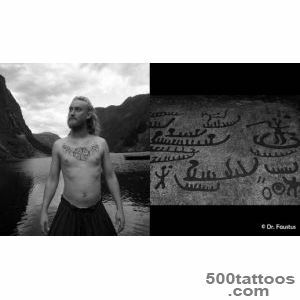 In addition, the boat was considered the last refuge of soldiers at the end of life's journey .Scandinavian style in tattoos can not be called a decoration , it no longer reflects the man himself. 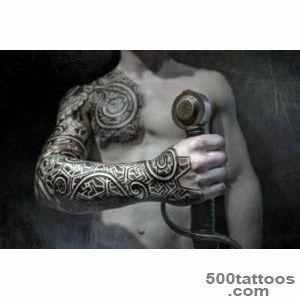 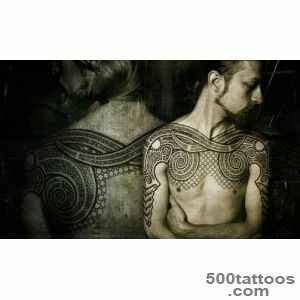 In ancient times, tattoos pointed to the owner of the profession and his social status . 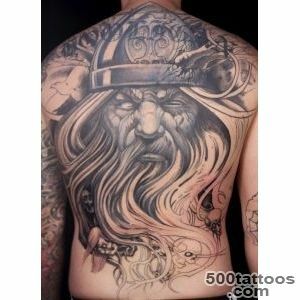 It is known that tattoos were soldiers and sailors , bakers and tanners , many other people . 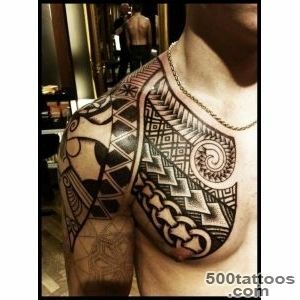 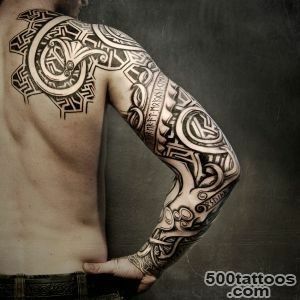 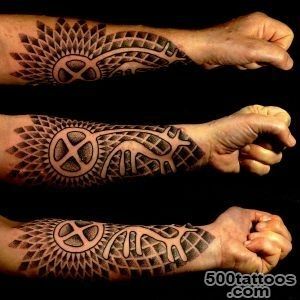 It is clear that all the tattoo invested special sacred , profound meaning .